Congressman J. Randy Forbes, 4th District of Virginia, “China’s aircraft carrier ‘is not the beginning of the end; it is the end of the beginning,’” 8 December 2011. For a full-text version of the article referenced by Congressman Forbes, click here. Just as a newlywed couple wants a “starter home,” a new great power wants a “starter carrier.” China’s navy has finally realized its longtime dream of obtaining an aircraft carrier and sending it to sea. 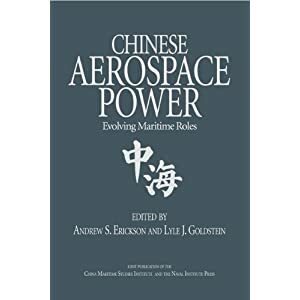 This is the first step in a long journey that will change China’s navy and how it relates to the world. At 5:40 AM local time on Wednesday, 10 August 2011, more than eighty years after the idea was originally proposed, China’s first carrier disappeared into the fog under tight security from Dalian harbor’s Xianglujiao Port, in northeast Liaoning Province, to begin sea trials in the Bohai and northern Yellow Seas. This was yet another coming-out party for China as a great power on the rise. Upon its launch, the nation burst with patriotic pride over the achievement. 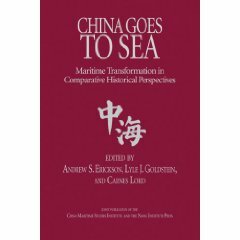 Major General Luo Yuan, deputy secretary-general of the China Society of Military Sciences, declared, “Well begun is half done. . . . [T]he effect of having something is completely different from the effect of having nothing.” Plans are under way to commemorate this new era of Chinese sea power, and to boost the economy further in the process. Tianjin, one of the country’s four municipalities, plans to do its part in October 2011 by opening China’s first aircraft carrier–themed hotel, based on Kiev, once the Soviet Pacific Fleet’s flagship and now the centerpiece of the Tianjin Binhai Aircraft Carrier Theme Park. A Chinese flagship as capable as Kiev once was remains far away, but Beijing has taken the first step and is already reaping added influence at home and abroad. Before foreign strategists start hyperventilating about the “beginning of the end,” however, a deep breath is needed. China’s initial carrier foray followed a six-year refit and lasted only four days. 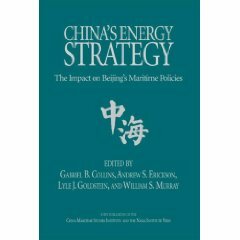 China’s starter carrier—a vessel originally purchased incomplete from Ukraine in 1998—is of very limited military utility; it will serve primarily to confer prestige on a rising great power, help the Chinese military master basic procedures of naval airpower, and project a bit of military power—perhaps especially against the smaller neighbors on the periphery of the South China Sea. This is not the beginning of the end; it is the end of the beginning. To realize its ambitions for the future, China had to start somewhere. Late in 2010, Admiral Liu Huaqing, the father of China’s modern navy, passed away. 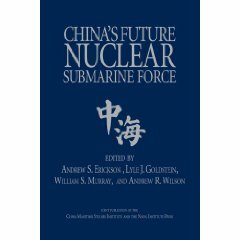 Liu had sought to build China’s navy first into a “green water” force and thereafter, eventually, into a “blue water” navy capable of projecting power regionally, though not globally. He insisted that he was not China’s Alfred Thayer Mahan, but his concept of “Near Seas defense” was roughly comparable to Mahan’s views on U.S. naval strategic requirements (i.e., dominance of the Gulf of Mexico, the Caribbean, Panama, and Hawaii). The key to the realization of Liu’s vision was an aircraft carrier, and Liu reportedly vowed in 1987, “I will not die with my eyes closed if I do not see a Chinese aircraft carrier in front of me.” Admiral Liu’s eyes can close now.